Selling Commercial or Apartment Property? 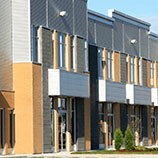 Want to sell a commercial property? Look no further than North Bay Property Advisors! The process of selling commercial and apartment properties isn’t always straightforward and it’s rarely easy, but you don’t have to do it alone. When you choose to entrust North Bay Property Advisors with your commercial property, you can rest assured that you are in good hands. Our family owned and operated company has been passed down through multiple generations, and no other company can match our experience and knowledge. 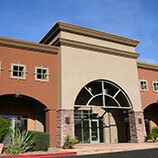 At North Bay Property Advisors, we are dedicated to helping you get the most out of your commercial real estate sale. We’ve been serving business owners in the Bay Area for the past 50 years, and in all of that time, we’ve gained valuable knowledge about the area, as well as the history of the commercial properties for sale. 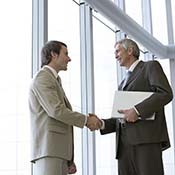 In addition to our experience and knowledge, we also offer professional appraisal services. In order to get what you deserve out of your commercial real estate sale, you first have to understand exactly what your property is worth. One of the many things that set us apart from other commercial real estate companies is that our services aren’t limited to just buying and selling properties, we also offer appraisal services! Why hire separate companies to appraise and sell your property, when North Bay Property Advisors can do both? When you want to sell your commercial property, entrust your service to no one but the best! Contact us at North Bay Property Advisors today to get started.